Although Florida is home to most breeds of horses, thoroughbreds are the most popular breed in the state. As a result, Florida boasts three of the top thoroughbred horse race tracks in the country: Gulfstream Park, Gulfstream Park West (formerly Calder Race Course), and Tampa Bay Downs. If you're a fan of thoroughbred racing, you don't want to miss these three courses on your trip to the Sunshine State. If you want to witness a thoroughbred race here in person, be sure to check out the racing calendar to make sure your vacation lines up with one of the dozens of races that take place at these tracks each year. 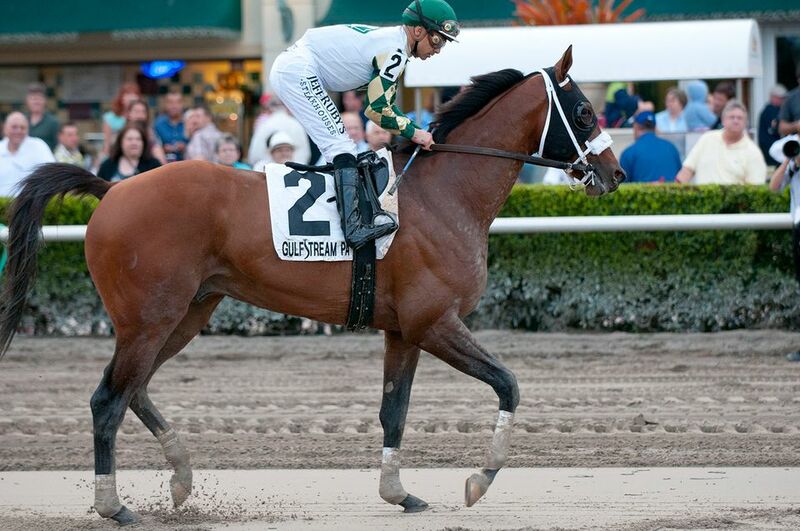 If you find yourself north of Miami in Hallandale, Florida, consider checking out Gulfstream Park, founded in 1939. Right next to the track is Gulfstream Park Village, home to dozens of restaurants, bars, shops, a casino, and even a nightclub—it's an all-in-one entertainment mecca. Gulfstream Park is located at 901 S. Federal Highway in Hallandale, which is between North Miami Beach and Hollywood, Florida. It's quite close to Gulfstream Park West, too, if you want to visit both tracks during your trip to the area. Established in 1971, as Calder Race Course, the track was purchased by Churchill Downs in April 1999, and today it's been renamed Gulfstream Park West. It's attached to Calder Casino, a popular gaming center, and is now a sister track to Gulfstream Park. Facilities include The park is located at 21001 N.W. 27th Avenue in Miami, near the Pro Player Stadium, where the Miami Dolphins NFL team plays. It's just 10 to 15 miles from Downtown Miami and South Beach. If you find yourself on the northwest side of the state, the Tampa Bay Downs track offers a similar experience to those mentioned above; since its opening in 1926 under the name Tampa Downs, this thoroughbred racing course has had several name changes and overcame a string of difficult years to gain the success it enjoys today. While the grandstand is covered and the amenities, including gaming rooms and a casino, are adequate, the experience falls more along the lines of friendly and local rather than luxurious—a bit different from the two very flashy Gulfstream Parks. Tampa Bay Downs is located just west of Tampa, on Race Track Road in Oldsmar, Florida, which is easily accessible by taxi or even public transit via the public bus services offered to the Tampa Bay area. Your first adventure to a professional thoroughbred race course is sure to be an unforgettable experience. Be sure to take a tour of the tracks before the races start, noting where the betting windows and concessions are located so you have a better feel for your environment before finding a seat—remember, many of these historical sites have been around for nearly 100 years, and each offers a brilliant glimpse into the history of horse racing. Once you find your seat in the clubhouse overlooking the race course, you can see the horses entering the track for the post parade to the starting gate; as the horses prance, you have the opportunity to check out the Daily Racing Form the track gives to all patrons and place a bet on your favorite horse. Then you can buy a drink and gossip with other race enthusiasts about which horses they think will win. When the bell rings, be sure to pay attention to the gates spring open and your chosen horse bounds out of its stable. Get caught up in the excitement and feel free to cheer your horse all the way to the photo finish! Also, in case you were wondering, the tracks are family-friendly and can be educational for the kids!